Thinking Of Pulling Money Out Of A Retirement Account? Note: visit the IRS web site for info on any of these items and check with a CPA for details about how these general rules apply in your specific situation. When you take money out of a conventional IRA, you’ll generally need to pay income taxes on the funds. For example, assume you want to withdraw $50,000 out of your conventional IRA and your income tax bracket is 22%. You would be required to pay $11,000 in taxes on that withdrawal. If you don’t have the $11,000 sitting around, you would “gross up” your withdrawal and pay the taxes out of your retirement account: ($50,000 / 78% = $64,103). In this case, you’d need to withdraw $64,103 from the account, pay $14,103 in taxes (22% of the withdrawal), and walk away with net proceeds of $50,000 after-tax. If you withdraw the money prior to age 59.5, you’d also need to pay a 10% early withdrawal penalty: ($50,000 / 68% = $73,529). In this case, you’d need to withdraw $73,529 from the account, pay $23,529 in taxes and penalties (22% taxes + 10% penalty = 32% of the withdrawal), and walk away with net proceeds of $50,000 after-tax. As you can see, it could get very expensive to pull money out of your retirement account! There could be some exceptions to the early withdrawal penalty, such as if you’re withdrawing up to $10,000 to purchase your first home. When you take money out of a Roth IRA, you generally won’t need to pay taxes on the withdrawal. However, if you withdraw the money prior to age 59.5, you’ll probably need to pay a 10% early withdrawal penalty. Again, there could be some exceptions to the early withdrawal penalty, such as if you’re withdrawing up to $10,000 to purchase your first home. 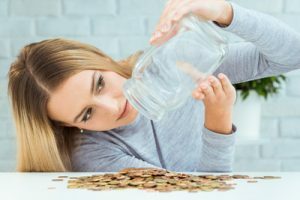 The same rules as outlined above apply when you take money out of an inherited IRA, with the exception being that you likely won’t need to pay the early withdrawal penalty. If you inherit a conventional IRA, you’ll generally need to pay income taxes on the funds when you withdraw them. If you inherit a Roth IRA, you generally won’t need to pay income taxes on the funds when you withdraw them. If you withdraw funds from a conventional 401(k), you’ll generally need to pay income taxes when you withdraw the funds. If you withdraw funds from a Roth 401(k), you generally won’t need to pay income taxes when you withdraw the funds. In either case, if you withdraw the funds prior to age 59.5, you’ll need to pay a 10% early withdrawal penalty. There is no first-time homebuyer exception to the early withdrawal penalty with 401(k) plans. However, some plans allow you to take out a loan against the value of the plan. This could be dangerous though because you’d be required to pay back the loan in full if you lose your job, or you’d risk being required to pay taxes and penalties as though it was a full withdrawal. There may be an exception to the 10% early withdrawal penalty if you are in a hardship situation. Click here to view details from the IRS web site on how that exception works. PLEASE NOTE: THIS ARTICLE AND OVERVIEW IS PROVIDED FOR INFORMATIONAL PURPOSES ONLY AND DOES NOT CONSTITUTE LEGAL, TAX, OR FINANCIAL ADVICE. PLEASE CONSULT WITH A QUALIFIED TAX ADVISOR FOR SPECIFIC ADVICE PERTAINING TO YOUR SITUATION. FOR MORE INFORMATION ON ANY OF THESE ITEMS, PLEASE REFERENCE THE IRS RULES REGARDING RETIREMENT PLANS. What kind of loan do you need? What is the value of the home? What is the zip code of the property? How soon are you closing?